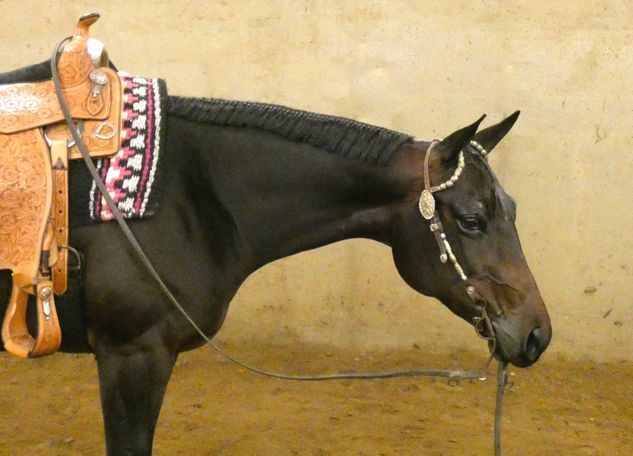 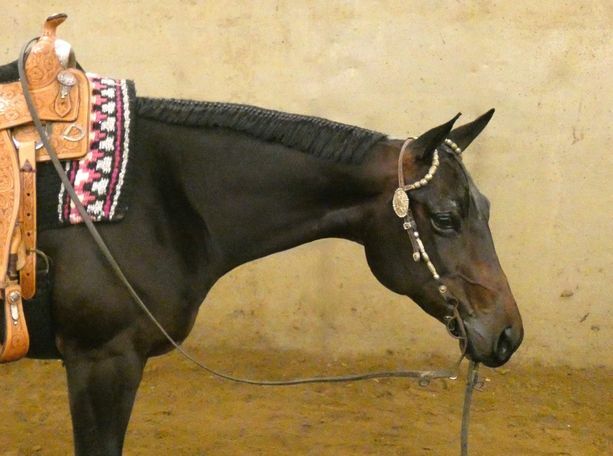 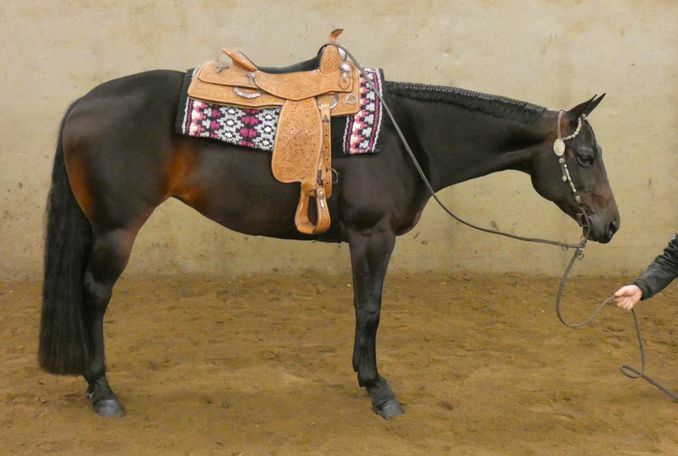 SWEET ABBY PINE - 2014 AQHA Bay All Around Show Mare. 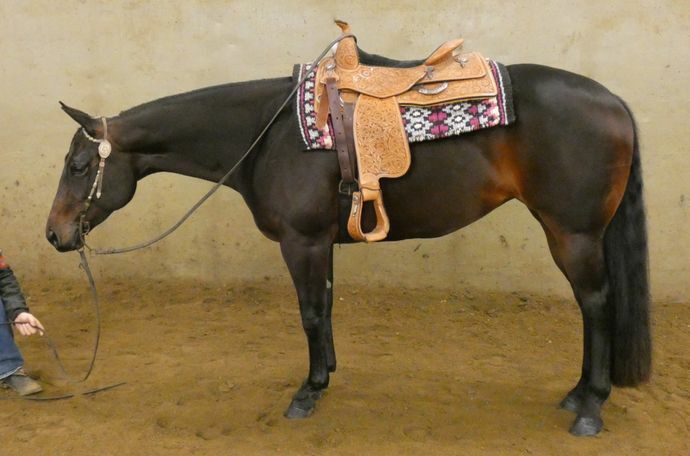 Sired by the great stallion Sweet Talkin Chip and out of a daughter of Zippo Pine Three. 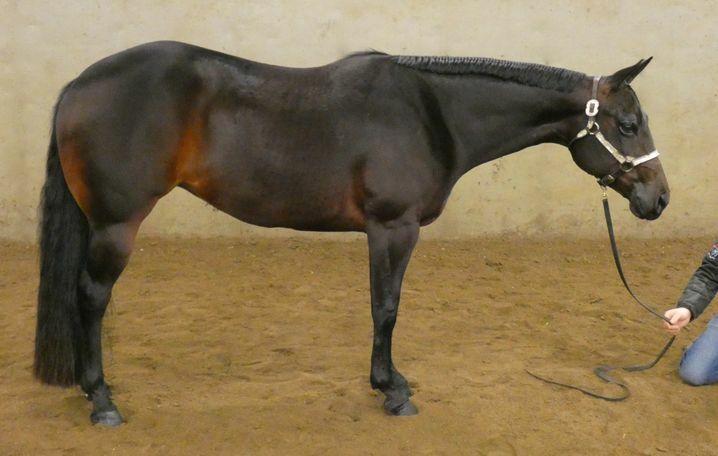 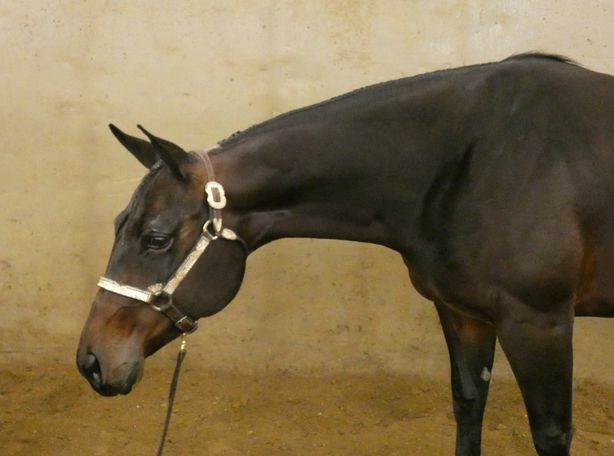 Abby is a beautiful mare that is made very well. 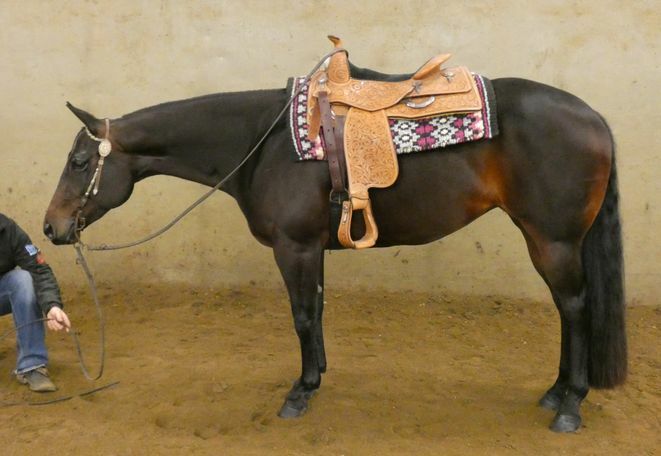 She is big bodied, has lots of bone to her, and stands 15-2. 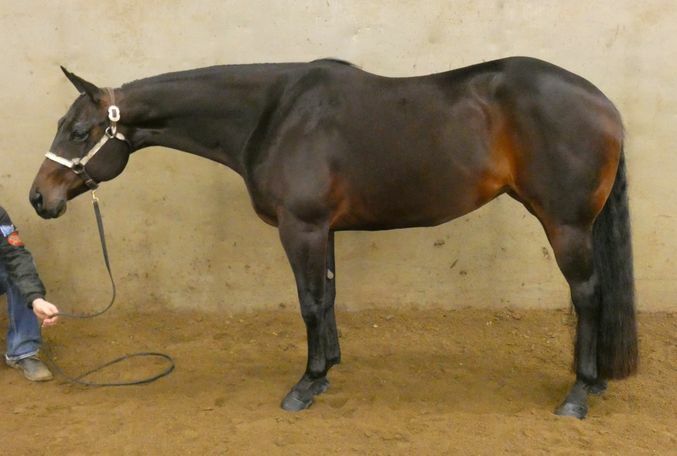 Abby is very good legged, naturally has a lot of lift and drive to her. 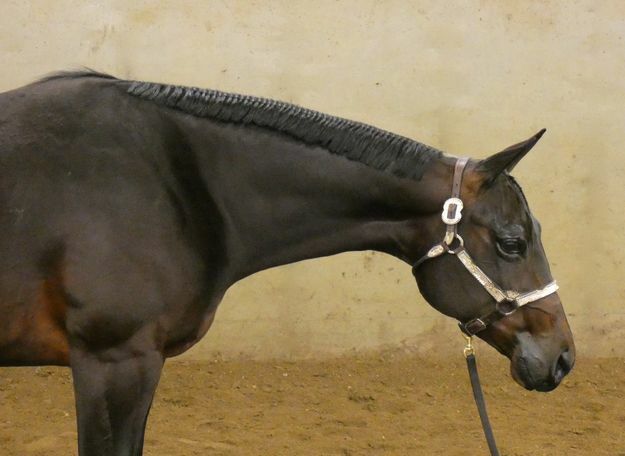 She has been brought along slow and correct and is ready to start her show career!